I got my hard copy of the catalogue yesterday! It's so beautiful in person! Oh, my poor wallet! 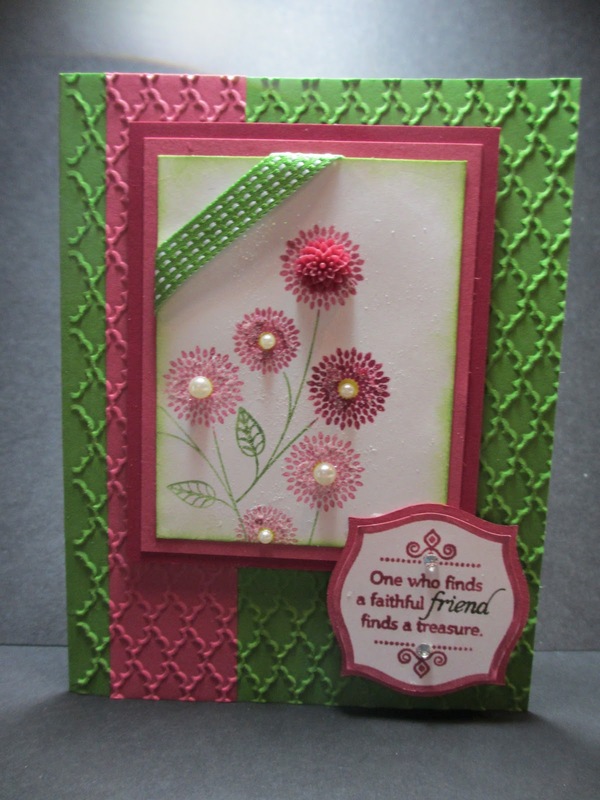 I am loving those little in-colour Dahlias ... perfect accent for your card! Love your colour combo Denise and how you mixed the new Dahlias with pearls on your flowers!